3 weeks have passed with Leo's summer session program. 5 days a week, 3 hours a day from 8:15. Usual school day schedule is 4 days a week from 11:00, so Leo has become an early bird now. Early bird is good but his energy runs out before dinner sometimes. 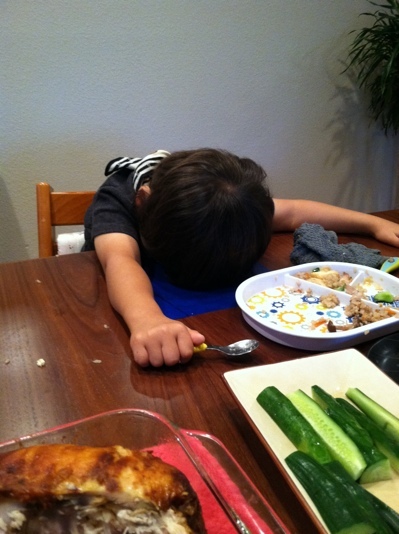 Today, it did not last until the end of the dinner, so he was like this. So we all need to understand that.